The first standard of fieldwork of auditing requires adequate planning and proper supervision, but until SAS 22 was issued, the only observations on planning in the authoritative literature related to the advantages of early appointment of the auditor. The need for more guidance on planning and supervision was identified when the general area of quality control received extensive attention in the early 1970s. It was recognized that quality control involved policies and procedures of CPA firms in the administration of a practice and policies and procedures of an individual auditor in planning and supervising an audit. The new SAS also would remove the auditor’s consideration of the entity’s business from audit planning. Instead, the understanding of the entity is a vital part of the audit that provides audit evidence supporting the auditor’s assessment of the risks of material misstatement. This post provides practical guidelines in developing audit planning and supervision procedure in accordance with SAS, interpretaion and technical application. The Auditing Standards Board (ASB) has issued Exposure Drafts of eight proposed SASs that relate to the risk assessment process. Under the Exposure Drafts, the guidance in Sections 310 and 311 would be combined. A proposed new SAS would cover, among other things, organizing the engagement, documenting the audit program, determining the extent that specialists are involved, and supervising assistants. How should assistants’ disagreements with significant conclusions be handled? (Note: Assistants should be able to document disagreement if they want to disassociate themselves from the resolution). These matters are covered in more detail on the next paragraph [Fundamental Requirements]. Consider the nature, extent, and timing of work to be performed. Prepare a written audit program (or a set of written audit programs). Note: Preparation of a memorandum on the preliminary audit plan is desirable, particularly for large and complex entities, but is not required. Planning Considerations – These matters, among others, should be considered in planning the audit. Client. The nature of the entity’s business and industry. Accounting. The entity’s accounting policies and procedures. Processing methods. The processing methods used by the entity for significant accounting applications. Materiality. Preliminary estimate of what amount or amounts will be considered material in the audit. Other risks. Audit areas likely to cause problems or require unusual attention: (a) Financial statement items likely to require adjustment (b) Conditions likely to require modification of audit tests, such as related-party transactions or possible fraud. Reports. The kind of reports to be issued, such as filings with regulatory agencies or special reports on compliance with contractual provisions. Types of products and services. 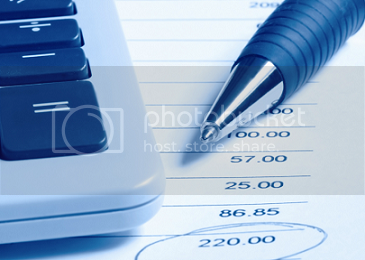 Accounting practices common in the industry. Available financial trends and ratios. Note: The auditor’s consideration of these matters, particularly industry matters, is directed at aspects that relate to the audit. General or extensive background research on the industry is not required. Extent of computer processing in each significant accounting application. Complexity of that processing, including use of outside service organizations. Organizational structure of computer processing. Availability of data, since some data may exist only for a short period. Use of computer-assisted audit techniques. Need for specialized computer skills from the auditor’s staff or outside consultants. Have sufficient computer knowledge to communicate the audit objectives. Evaluate whether the objectives will be achieved. Review of his or her own records on the entity. Discussions with others in the firm. Discussions with the client’s personnel. Reviewing correspondence files, prior year’s audit documentation, permanent files, prior years’ financial statements, and auditor’s reports. Discussions with firm personnel responsible for nonaudit services to the client. Asking about current business developments affecting the entity. Reading current interim financial statements. Discussions with management and the board of directors, or its audit committee, about the type, scope, and timing of the audit. Considering implications of relevant accounting and auditing pronouncements, particularly recent pronouncements. Coordinating the assistance of client personnel in preparing data and schedules. Determining the involvement of consultants, specialists, and internal auditors. Establishing the timing of audit work. Establishing and coordinating staffing requirements. Reviewing various sources of industry information, such as AICPA guides, industry publications, and annual reports of other entities in the industry. The objectives of the procedures they are to perform. Matters that may affect the scope of the procedures they are to perform, such as: (a) Aspects of the entity’s business relevant to their assignment (b) Possible accounting and auditing problems. The need to bring to his or her attention significant accounting and auditing questions raised during the audit. Complexity of the subject matter. Determine whether it was adequately performed. Evaluate whether the results support the conclusions to be expressed in the auditor’s report. Documentation of an assistant’s disagreement, if he or she wants to be disassociated from the final resolution. Documentation of the basis for the final resolution. Consider the nature of non-audit services that have been performed. Assess whether the services affect the financial statements or performance of the audit. Discuss the non-audit services with personnel who performed such services, if they have implications for the audit. Bring to the attention of the appropriate auditor significant disagreements about accounting and auditing issues. Document his or her disagreement and disassociate himself or herself from the resolution of the matter, if the issue is not satisfactorily resolved. The extent of the auditor’s planning depends on the nature of the client and the experience of the auditor with that client. For example, planning for the audit of a new client is more extensive than planning for the audit of an existing client. These factors are discussed below. All factors are not appropriate for every audit. The size and complexity of the client determine which factors are relevant. Overall business conditions—depression, recession, inflation. Growth and financial results of the industry. Possible sources of this information are the following: (a) Industry trade association literature (b) Publications issued by agencies such (c) Government publications issued by the Government Printing Office, Washington, D.C. Cyclical and seasonal nature of the industry. Is the industry labor intensive or capital intensive? Industry labor conditions: (a) Is the industry unionized? (b) Has the industry recently experienced a strike? Industry accounting practices. This information may be obtained from firm members with clients in the same industry and AICPA Industry Audit and Accounting Guides. Industry price patterns and consumer reactions to price changes. In addition to the information the auditor obtains about the client’s industry from industry-related publications, he or she may obtain industry information from bankers, client management, auditors with clients in the same industry, and general business publications, such as the Wall Street Journal, Business Week, Forbes, and Fortune. Visit client’s administrative office and major facilities. Review year-end financial statements of prior year and interim financial statements of current and prior year. Review auditor’s report on prior year’s financial statements: (a) Was there a scope limitation? (b) Were certain matters emphasized? (c) Did the auditor disclaim an opinion or issue an adverse opinion? (d) Were there other modifications of the auditor’s standard report? Review prior year’s income tax returns. Obtain the results of the most recent income tax examination. Review reports issued to agencies, such as the following: (a) Securities and Exchange Commission (b) Federal Housing Administration, Small Business Administration, and Department of Labor (c) Credit agencies and banks. The functions of each executive. The executive responsible for the audit. Locations and relative importance of all offices, showrooms, warehouses and factories. Obtain corporate manuals or memoranda that provide information about the following: (1) Nature and description of the entity’s products (2) Production and distribution methods (3) Internal control (4) General ledger chart of accounts. Methods of financing the entity’s operations. Names of banks and account executive at each bank. For each bank, determine the following: (1) Outstanding indebtedness and terms of payment (2) Lines of credit (3) Other banking services. Purchase terms: (1) Terms of payment (2) Are letters of credit used for foreign purchases? Sales terms: (1) Terms of payment (2) Are letters of credit used for foreign sales? Schedule of all affiliates and non-consolidated subsidiaries. Customers and suppliers on whom the entity is economically dependent. General ledger and books of original entry: (1) Are accounting records up-to-date? (2) What is the quality of accounting records? Extent of client responsibility for preparation of the following: (1) Trial balance (2) Schedules (3) Adjustments and accruals (4) Confirmations (5) Inventory instructions (6) Financial statements (7) Income tax returns. Tentative audit schedule. Agree to dates for the following: (1) Physical inventory (2) Cash and securities count (3) Mailing and confirmations (4) Start of fieldwork.
. Examine work area that will be allocated to the auditor.
. Walk through the accounting area.
. Document flow of production.
. Note conditions of facility and equipment. Client’s current year interim financial statements. Members who had professional assignments with the client during the year. These assignments include the following: (a) Review of interim financial statements (b) Income tax planning (c) Systems and other consulting services. Addition or deletion of factories, offices, warehouses, or showrooms. Addition of new administrative departments. Existence of new or continuing related parties. Changes in production or distribution methods. Changes in sources of financing. Acquisition of new office equipment such as a computer. New long-term commitments, such as: (a) Leases (b) Employment contracts. Adoption of employee compensation and benefit plans. Obtain an engagement letter or prepare a memo about the understanding with the client. Prepare audit plan (if considered appropriate) and audit programs.
. Number of staff members required for the audit.
. The levels of staff required—supervisor, manager, senior, semisenior staff.
. Timing of need for staff. Year-end work, such as inventory observation, cash and securities counts, mailing of confirmations.
. Number of staff members with previous audit experience with client.
. Expertise required of staff. The audit plan provides the framework for the design of detailed audit procedures to be performed during the audit. The decision to use an audit planning memorandum and the content of the memorandum are matters of firm policy and there is substantial variation in practice. Prior year’s time budget and its relationship to actual time. Related Topics:AccountingAudit Materiality LevelsAudit Planning And SupervisionAudit Planning Application TechniqueAudit Planning StandardAudit Planning Techniques For ApplicationAuditing Standards Board (ASB)ClientControl RiskExamples Of Auditor’s Procedures For Audit PlanningFirm RequirementsFundamental Requirements PlanningIndustry Matters The Auditor Should ConsiderKey Audit AreasKnowledge Of Business And IndustryMaterialityPlanning ConsiderationsPlanning DocumentationPreliminary Assessment Of Control RiskPreparation Of Audit PlanPrior Year’s Time Budget And Its Relationship To ActualProcessing MethodsSAS 22Specific Planning ProceduresStaff RequirementsSupervisionTime BudgetsUse Of Computer ProcessingVisit To Administrative OfficeVisit To FacilityWhat Documentation Of Planning Is Required In Every EngWhat Knowledge Of The Client Is Required?